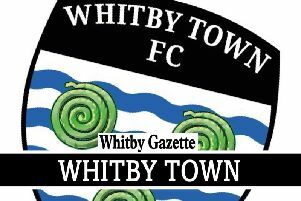 Whitby Town beat League One side Bradford City 1-0 this week with Mikey Roberts bagging the only goal. The goal arrived from the penalty spot after 11 minutes following a foul on Roberts by City’s James Meredith. Whitby Gazette photographer Brian Murfield was on hand to capture the goal on camera. For match report and reaction see Friday’s Gazette.